Glorious Modern Calligraphy. This font was designed by handwriting, and it has a modern and unique forms of calligraphy, the writing style is very natural. Copyright (c) 2018 by Rtcreative. All rights reserved. 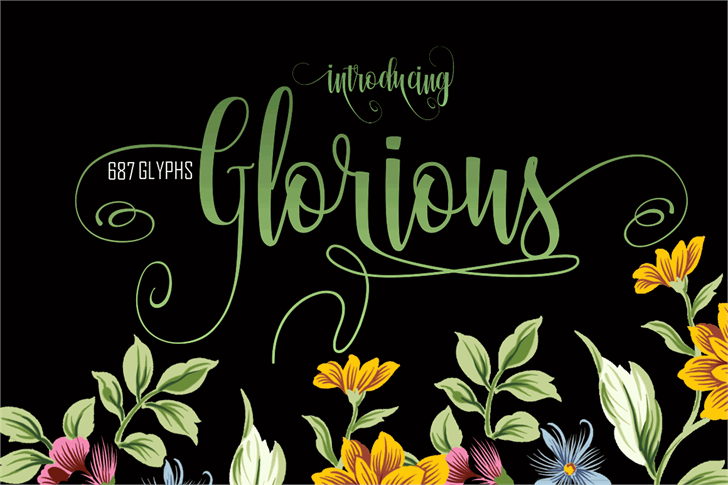 Glorious Free is a trademark of Rtcreative.